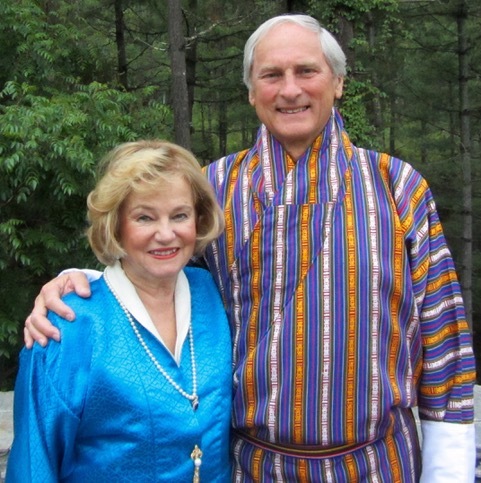 The Friends of the Royal Textile Academy of Bhutan (FRTAB) has received a gift of $250,000. from the Geiger Family Foundation to support a groundbreaking program aimed at sustaining the Bhutanese textile weaving tradition through direct support to individual weavers while advancing the Royal Textile Academy (RTA) mission. The donation will fund the new program “Weaving Into the Future”. The project will build on the work of the RTA and the Center’s weaving training, education and support for individual weavers. The RTA consists of four major components in its development plan: the Textile Museum, the Weaving Center, the Offices at the RTA and the Cultural Heritage Center. Three of the four components will be complete by summer 2018. “Beyond construction of the basic infrastructure, museum and conservation planning, weaving training, this is a significant program to acquire and commission high quality wearable woven textiles directly from weavers in various regions representing culturally significant weaves,” said Krista Amason, President of FRTAB. She adds, “It is the logical progression for an institution such as the RTA that is a leader in the field of cultural sustainability in Bhutan”. The project plans to begin in three significant rural weaving provinces in Bhutan and eventually expand throughout Bhutan. Woven wearable textiles will be commissioned or purchased directly from the weavers and various consignment sales arrangements through the RTA will be considered and developed. Diverse culturally significant patterns and styles will be represented. This project will also enable the RTA to provide high quality materials directly to weavers. Bill and Lee Anne Geiger and their two daughters, Michelle and Elizabeth were among some of the first donors to support FRTAB and the mission of the RTA. Over the years they have donated over $150,000 part of which includes funding for the pilot program for “Weaving Into the Future”. Their family foundation supports causes that “have a clear impact and relate to our Foundation objectives.” This RTA project that provides direct support to women weavers through acquisitions, commissions, consignment sales and materials support is a great match. Lee Anne and her two daughters are themselves active working artists and understand the role of art and the artists in society first-hand through their own artistic work and practice. “With the global economy bearing down on the ancient culture of Bhutan, we clearly see how the arts and an active Cultural Center will preserve and sustain the identity and heritage of Bhutan. We believe an essential component to sustaining the textile weaving tradition and craft for future generations is income to the individual weavers for their beautiful textiles. We are proud to support the RTA and this initiative.” say Bill and Lee Anne Geiger.